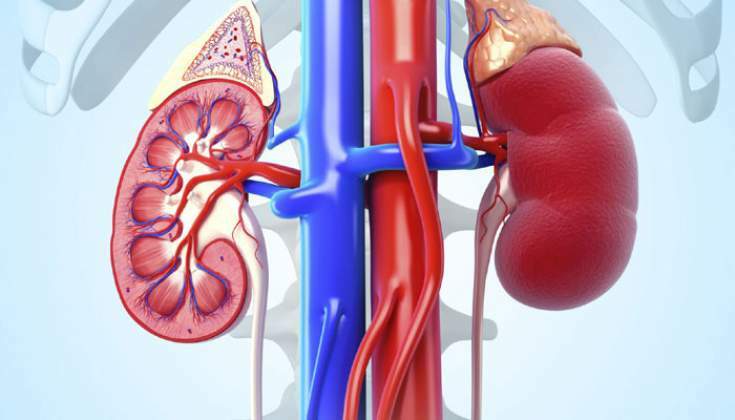 Kidney disease can affect anyone but only those with access to considerable financial resources or with medical aid cover are currently able to afford dialysis, according to Kidney Association of Zimbabwe chairman Lysias Sibanda. Speaking in the wake of World Kidney Day, which was marked on Thursday 8 March 2018, he highlighted lack of awareness about kidney disease and the high cost of dialysis as two of the major reasons why many people succumb to the disease. He said all the major players in the treatment of kidney disease had attended this year's World Kidney Day commemoration at Mpilo Hospital in Bulawayo, at which there was an exhibition of machines and technology used in treatment of the disease. Mr Sibanda thanked NMB Bank for contributing towards the cost of holding the event. He appealed to other companies to partner the Kidney Association in its efforts to create greater awareness of kidney disease and what could be done to detect it early. NMB chief executive Ben Washaya said NMB was happy to be associated with such an important cause and to have contributed to the success of the World Kidney Day event in Bulawayo. He praised the efforts of the Kidney Association of Zimbabwe to increase awareness of the disease and encourage more people, especially those with conditions linked to it, such as diabetes, high blood pressure, malaria and HIV, to be tested regularly. NMB Bank shared the Kidney Association's concern about the cost of dialysis and the ignorance there is about the disease, he said. "The Kidney Association of Zimbabwe is playing an important role in increasing awareness of the disease and highlighting the difficulties people suffering from it face," he said. Mr Sibanda, who has been on dialysis for 16 years, said it is possible to live a normal life even with advanced kidney disease but many people succumb to it because they cannot afford dialysis. "There is need for universal medical aid cover, so that nobody with kidney disease goes untreated," he said. He suggested a public private partnership (PPP) could achieve this. He said there were generally no symptoms in the early stages of kidney disease but it was easy to be tested for it. Because it coincided with International Women's Day, the focus of this year's World Kidney Day was on Kidneys and Women's Health. Chronic kidney disease affects about 195 million women worldwide. Almost 600 000 women die from it globally each year. Mr Sibanda said it was difficult to know how many people suffered from kidney disease in Zimbabwe, because of people's ignorance of the symptoms. "I think many people don't have a clue. We hear that someone who died had a swelling of limbs. The kidneys are a factor in that," he said. He said it was possible to minimise the risk of kidney disease by staying fit. A person who was obese risked high blood pressure and kidney disease.